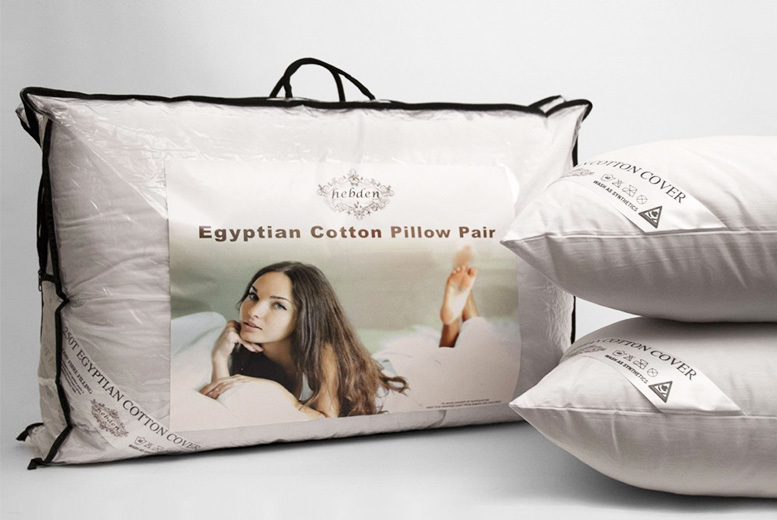 Get a pair of Egyptian cotton pillows. Or upgrade to get four pillows. Dimensions: 74cm x 48cm – Machine washable 40 degrees. Featuring a superb softness for great comfort and a 250 thread cotton cover. Made of 100% hollow fibre offering ventilating qualities and non-allergenic properties. Great for a perfect night’s sleep for both you and your guests!